The Chief Executive of the Committee on Climate Change, David Kennedy, has just warned the new coalition government urgent action must be taken if the UK is to meet its carbon emissions targets. Mr Kennedy claimed at least four key areas must be addressed, including policy changes to reform the electricity market. Mr Kennedy said: “We’ve had a light-touch approach in the UK, we’ve talked a good game but what we’ve seen is emissions haven’t fallen. We need to do something different. What we have to do isn’t news and is becoming very well known”. 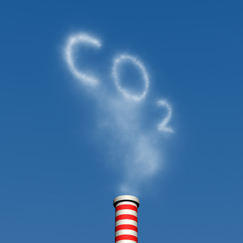 It has been estimated that greenhouse gases in the UK fell by 8.6% last year – a relatively substantial reduction by most standards. Chair of the Committee on Climate Change, Lord Turner, stressed the apparent fall in carbon emissions was almost entirely the result of the recession; lower economic output tends to have a positive effect on reducing carbon emissions. Environmentally friendly initiatives such as the Boiler Scrappage Scheme, which provided financial assistance to eligible households that replaced their old, energy inefficient central heating boilers with A-rated condensing boilers, have had little effect according to Lord Turner. Likewise, the installation of solar photovoltaic panels and wind turbines on private and public land across Britain has made little impact on reducing carbon emissions. Mr Kennedy stressed the coalition government made a number of key pledges on environmental change before the election and the time for implementing such change is now. Mr Kennedy urged: “These commitments are at the moment good intentions. What we need is to translate these into crunchy policies in power, buildings, transport and agriculture. The test of this government will be the policies they put in place over the next year or two”. Meanwhile, the head of Friends of the Earth, Andy Atkins, said: “It’s extremely disturbing that, despite a similar warning from the committee last year, the recent fall in UK emissions is mainly due to the recession. This report [from the Committee] is further evidence of the need to build our future prosperity on safe, green foundations”. How the Government intends to implement its green policies amid widespread public spending cuts remains a mystery to voters.